Take a sensorial journey to the planes of Africa and escape from a busy day. Indulge in your bath time and unwind with these luxurious Rose Gold Atlantic Bath Salts. Shimmers of bronze and infusions of sensual Rose fragrance help to rejuvenate and ease your body and mind whilst preparing you for a good night’s sleep. 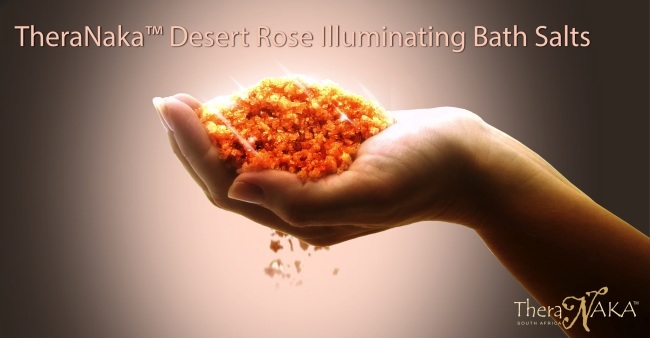 Add a third of the Desert Rose Bath Salts to a warm running bath. Step in the bath, relax, inhale and allow the mesmerizing aromas to transport you to complete relaxation.